In times like ours, where greed is destroying the world and nobody seems to care much about it, the simple truth of a small community, gathered around a project of solidarity to support a specific breed of bird and maintain its habitat, could not be more appropriate as the cover piece for Dantemag`s 2013 green issue. 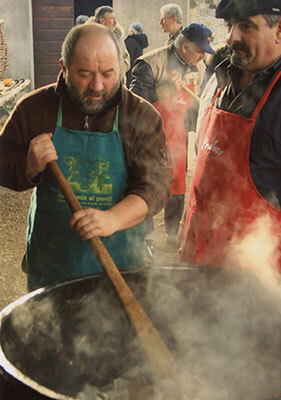 Read on to learn about the extraordinary undertaking of the small village of Fagagna. Permaculture is a branch of ecological design, or ecological engineering, that develops sustainable environments in which humans, animals, and the natural environment are all in a consciously made and maintained balance. 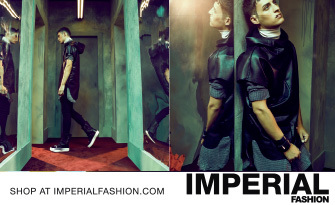 As a design philosophy, it seeks to both exploit and imitate naturally occurring patterns. The people in the Italian village of Fagagna put this complex philosophy into practice spontaneously, in response to nothing more than a felt need. But in order to explain their experience, we need to tell a story. Once upon a time, a young pair of storks, sensing the end of winter on the shores of Africa, decided it was time to begin the journey back to northern Europe. Following the paths of their ancestors, they yearned to return to the place of their birth to start a family there. They took off using the first available thermal for the beginning of their epic journey together. As they neared their destination, they decided to stop for a rest and a bit of food before embarking on the last leg of the journey. They glided down onto some fields that looked to be the right sort to find frogs, fish or whatever else might be there to eat. Once on the ground, like any young couple, they started teasing and flirting, clattering bills with each other. They were so happy because at that moment the world was theirs. The sun was setting so they decided to sleep on what they felt was the most secure place in the area – on the chimney of an old derelict building. The next morning, when they woke up with the first rays of light, an amazing landscape unfolded before their eyes: beautiful hills surrounding a valley marked by the clean water of a river running through it. It was 1989 and the moment when our real story begins. 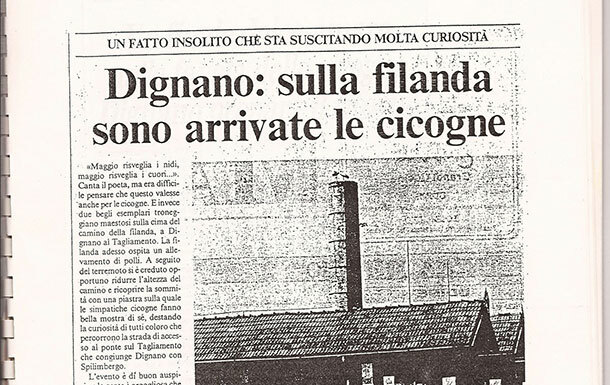 The people of Dignano, a village in the Friuli region of northeastern Italy, immediately noticed the storks perched on top of the chimney of the old silk factory building. “Have they got separated from their flock?” people wondered. Not even the oldest person in the village could ever remember storks passing through. The birds were creating quite a stir in the village. Immediately, the more conscientious villagers organised a group to protect the young pair from anybody who might want to harm them. They started carefully monitoring the birds’ behaviour. The excitement reached fever pitch when they realised the pair had actually started gathering large twigs and arranging them on the chimney top – a clear sign the birds were building a nest. Research in the library archives in Udine, the region’s capital, revealed that the last documented record of storks visiting the area went back centuries. They also discovered that their area had once been a regular stopover for the birds migrating to northern Europe and that some of them had even nested there permanently. The industrialisation of the local region and the rise in temperature evidently had something to do with their disappearance. But the storks were back now, and the villagers of Dignano were doing their best to create a friendly environment for the young pair. Everything seemed to be working extremely well. It took about twenty days for the young storks to finish the nest. “Look, the storks have made a hat for that tall chimney!” joked the local kids as they gazed up at the nest from a distance. The birds were carefully observed and some people even went up in gliders flying at a safe height above the nest. But as soon as two eggs were spotted and the birds had started incubating, the flights stopped so as not to disturb them. But as is usual in fairy tales, tragedy always looms around the corner. Unfortunately during the incubation period the male stork disappeared for some unknown reason and left the female, who continued to sit alone on the eggs. She did not leave the nest for a single moment. On the ground, the entire village waited anxiously, especially when a major storm arrived, as they were afraid it might blow away the whole nest. But the female stayed still and strong through the bad weather, and several days later a little head peeped out from under Mrs Stork! People remember that the village had never been so happy. The story made headlines in the local papers and people started to flock to visit the place, even people from the neighbouring villages. “It was something I`ll never forget”, an elderly lady I met in a local bar told me. “Yes,we felt like we were the chosen ones”, some others joked, laughing. 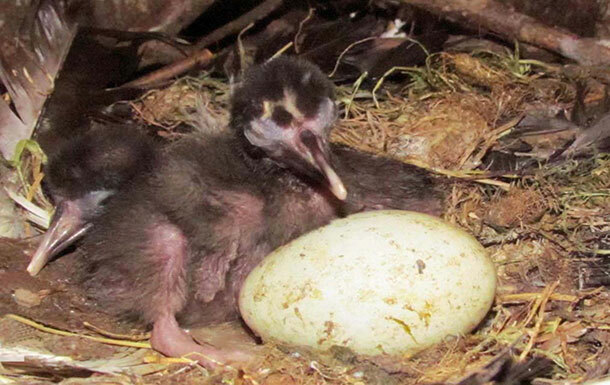 Maybe it was the exposure or the stress of being left alone to cope during the remaining incubation period. Who knows? Whatever it was, after a couple of days the young mother also disappeared, abandoning her chick and the other unhatched egg. The locals did not give way to disappointment but acted immediately. They organised the rescue of the little one and, with the help of a local bird expert, they transferred the egg to a sitting hen. In that way, they managed to hatch it. The local vet certified that the chicks were in good health. But since they had to be raised by hand, a special nursery was created; locals took turns feeding them with a suitable mixture made from mashed up frogs, fish and small rodents. In no time at all the two chicks grew into strong and beautiful birds. After two months, they had reached their full size and wanted to start flying. Now the enclosure that had been built for them was not large enough anymore – they had to learn to fly properly if they were to be returned to the wild. The only option seemed to be to move them to a bird sanctuary. The villagers did not really like that idea: “Why put them in cages? Can’t we keep them free around here?” Others suggested: “What if we created a centre to reintroduce the birds to the area on a permanent basis?” Most of the villagers backed this idea. A nearby village called Fagagna, however, seemed to be most serious about running with this suggestion. It was the perfect opportunity to redevelop some old disused clay pits, rich with old rare native plants. For years now, the lakes formed in these clay pits had been a huge cause of concern for the mothers roundabouts because their children, despite warnings not to, used it as an adventure playground and sometimes in the summer they would even go swimming there. 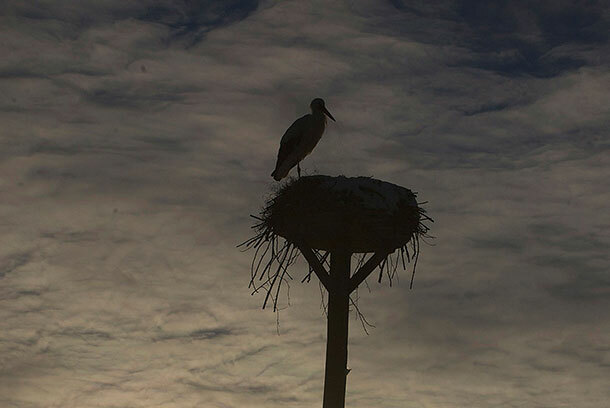 After carefully studying the site, it became clear it would be the ideal place for the storks to live. The plan was to keep the birds in giant aviaries for three years – this would give them ample time to get accustomed to their habitat and then slowly they would be released to roam free in the area. The whole project was explained in detail to all the inhabitants of Fagagna. It was paramount for the storks’ survival to create a friendly environment around them and to keep it safe for them to be able to feed on their natural food. The local farmers agreed to change their farming habits. They would no longer use certain types of fertilisers or pesticides which could destroy the birds’ principal food chain. 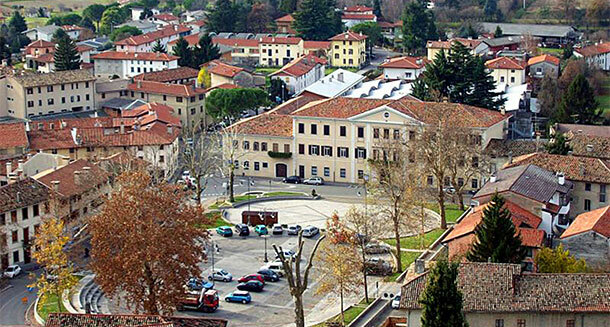 This would require a huge collective effort on the part of every villager in Fagagna to create this new situation, but everyone agreed to the project with enthusiasm. So local volunteers worked hard to fence off the whole area and to create their “Oasis Quadris.” The bird sanctuary’s name came from the fact the lakes there were square-shaped (quadris in the local dialect). 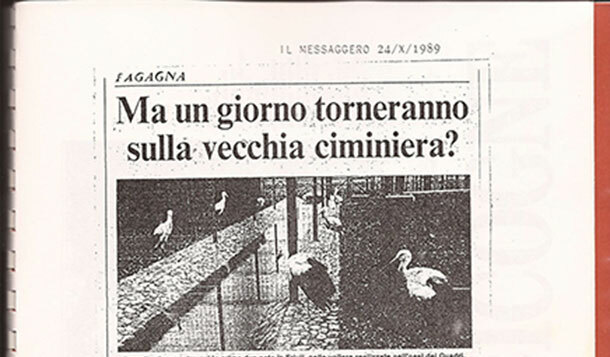 The first guests were, of course, the rescued storks, soon to be followed by others donated from another bird sanctuary in Pavia near Milan. These were then paired with some storks brought from Switzerland so as to avoid inbreeding. It did not take long for the villagers of Fagagna, or Feagne as they call it in their local language, to start to see some rewards for their efforts. The fact that the farmers no longer used any chemicals on their crops meant the quality of their cows’ milk increased, as did the cheese made from it. 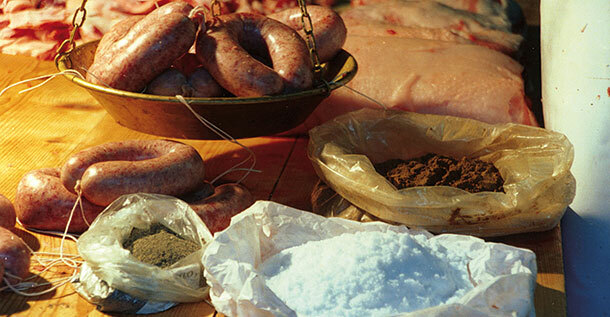 Fagagna agricultural products were quickly recognised as among the best in the area and demand for them grew exponentially, including among others, its salami, sausages and the famous pestat of Feagne a delicious local pate. 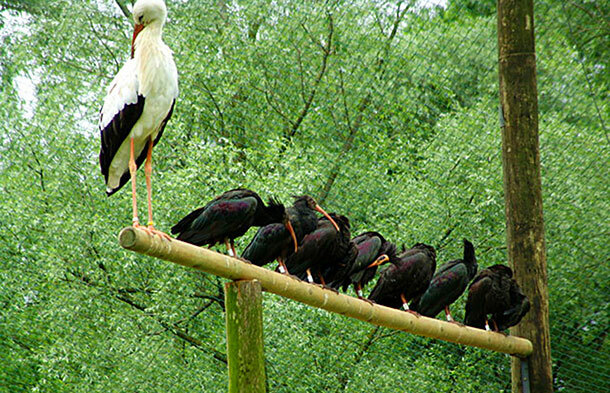 People began flocking to the Oasis Quadris because they were able to see the storks at such close quarters. 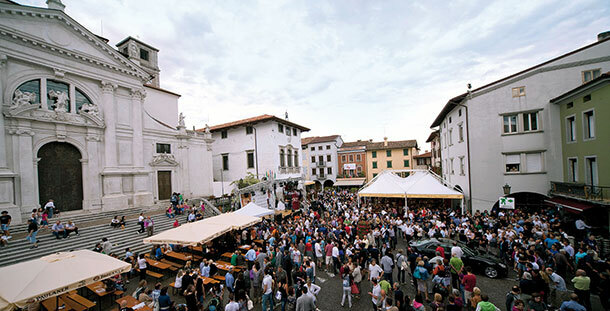 Local restaurants and shops benefited from the word of mouth created by all the visitors. 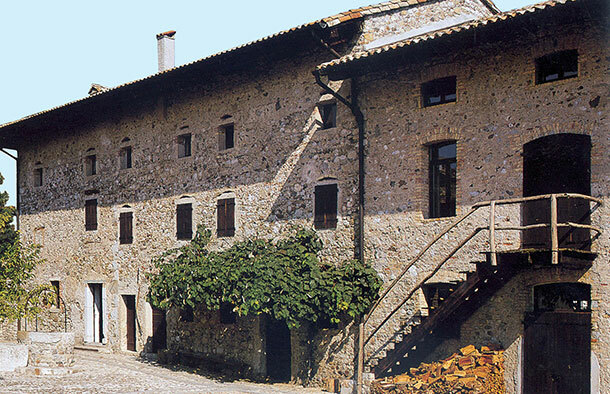 Fagagna is now widely recognised as one of the most beautiful villages in Italy and it is very hard not to disagree. 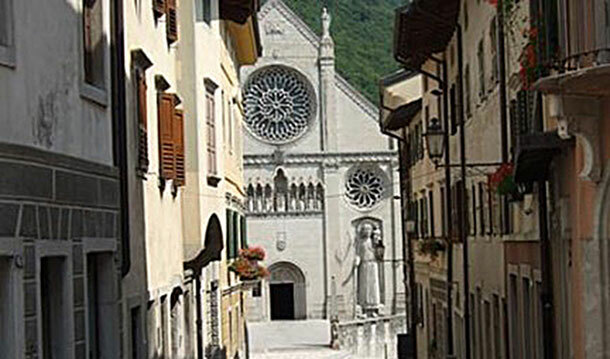 Its history dates back to Roman times as “Feagne” sits on the Via Concordia which connected Aquileia, the second largest town after Rome in the second century BC, to the Alpine pass which accessed the Roman Empire’s lands in northern Europe. 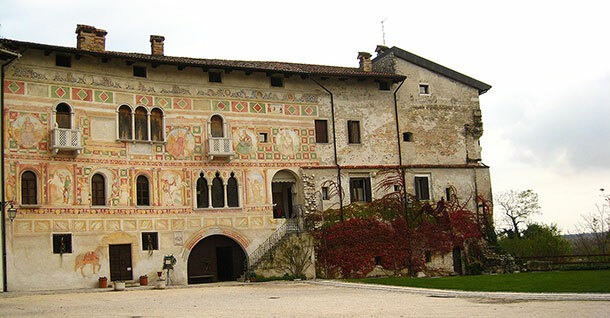 From the medieval Castle of Villalta you have a breathtaking view over the enchanting valley to the south with the Alps sitting austerely to the north. 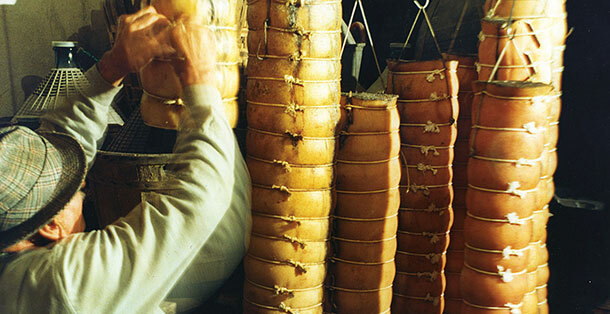 The whole area around Feagne is full of beautiful little villages – San Daniele (San Denél), where the famous prosciutto comes from, is about 6 km away and the whole area’s local culinary traditions are to die for. 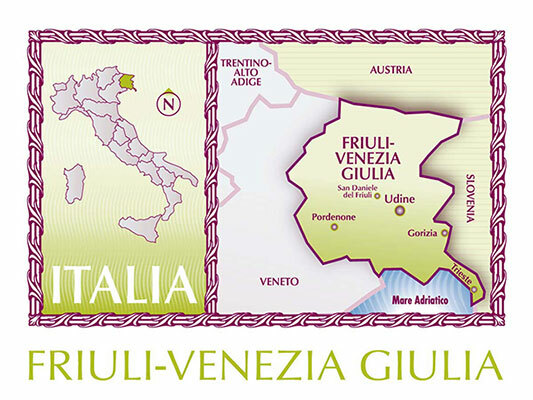 The entire Friuli region specialises in growing native grape varieties that produce excellent wines – the dry fruity Friulano, the sweet Ramandolo, and the uber-exclusive Picolit, to name just a few white ones. The Schioppettino and Franconia are two excellent local red wines. 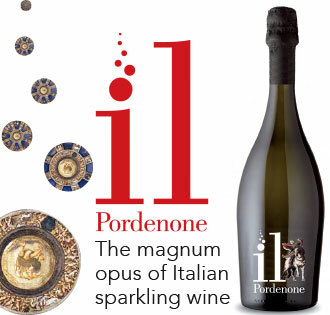 All are made in the famous wine-making area of the Collio. 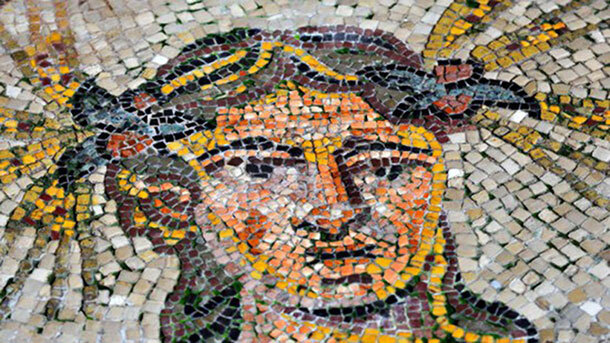 If you drive just 15 km south of Feagne, another enchanting village will let you discover its history of “Forum Julii” as Julius Caesar called it, back in 50 BC. 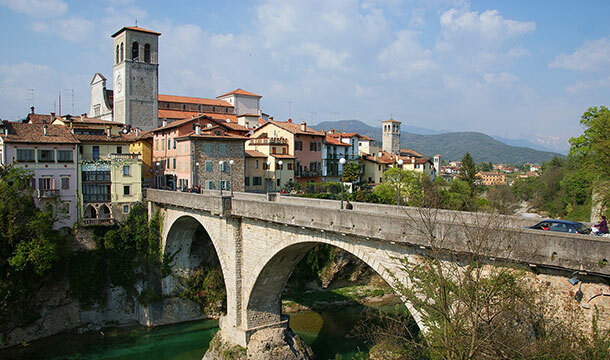 It is now known as Cividale del Friuli or Cividàt in the local language. 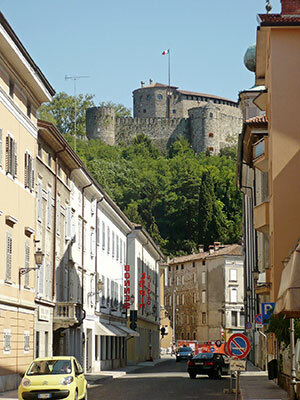 Close by is the medieval town of Gorizia, which – like another European city, Berlin – was divided in two after a territorial dispute between Italy and the former Yugoslav dictator Tito during the Cold War. 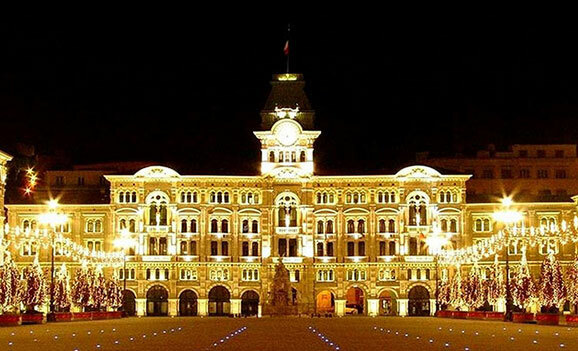 If you feel like having a swim you can travel a bit further south and reach the beautiful city of Trieste, with its scenic harbour and old cafés and the notoriously famous Miramare castle that was so highly prized by the Austrian emperors. Back nearer to the area surrounding Fagagna, your tour of the villages must include Spilimbergo (Spilimberc), which, besides its 12th century castle, has the oldest European school of mosaics; and Udine (Udin), the region’s capital, with all its bars and shops lining its beautiful medieval squares. A bit further north of Feagne is Venzone (Vençon), which has massive double village walls dating from the 12th century and the famous mummies that Napoleon was so keen to see when he visited the village. Their preservation is not due to any human intervention but rather to the particular natural climatic conditions of the place. 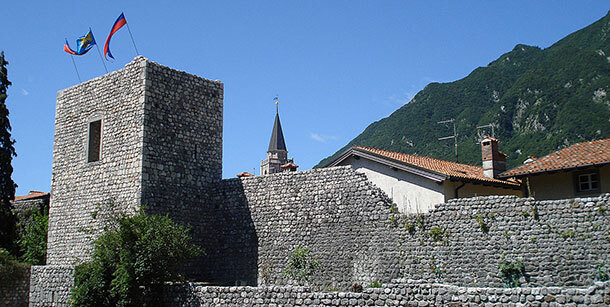 Gemona (Glemone) is another must-see medieval town which, together with Venzone, became a model example of the reconstruction and rebirth after the devastating 1976 earthquake that destroyed the whole area and killed so many people. Maybe it was this sense of rebirth that prevailed in the people of Fagagna and the locals roundabout when they opted to back the project to reintroduce to the area the birds they had lost so long ago. Who knows? Certainly it took a lot of courage to change the way they did things. They have adapted the whole environment surrounding the village for the benefit of the birds. 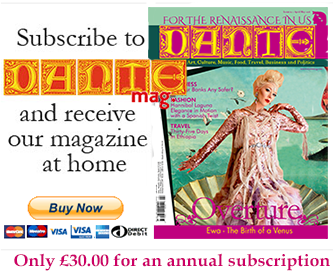 Their effort has been repaid hugely in terms of their image and the benefits to their local businesses. Without really meaning to, and without fanfare or bragging, the villagers of Fagagna and environs have been practising permaculture at its most basic level – and doing it with not a little success, not only for themselves but for the birds they had set out to save. From the thirty permanent pairs roaming free in the Oasis, in the last 10 years or so, they have released about 150 storks back into the wild, including even the original rescued stork, who sparked off the whole project. “As soon as the chicks are hatched they are ringed with a tracking number and out of a brood of three or four, the smallest one, which is usually the one at greatest risk of not surviving, is removed from the nest and raised by hand; it is looked after like this for three years until it reaches maturity. Then they normally stay in the Oasis. But a few set off for Africa,” explains Gianni Cinello, the president of the Oasis. Ringing the storks is not only useful for gathering information and studying the migratory habits of these precious birds but also to monitor them for disease. The centre constantly shares its data with other centres around Europe. Birds from this sanctuary have been tracked rearing broods in Maribor, Slovenia, in Austria, and as far away as Poland. “Returning them to nature is the most precious gift we can give them and the fact some of them feel comfortable enough to return here, means we`re doing a great job,” the president adds with a sense of pride, while never forgetting to praise that extra effort the volunteers are always willing to put in to the project. Of course, those two storks who decided to stop not far from here could never have foreseen the seed they planted in the local population, especially when they abandoned their chicks in the nest. But beyond the actual facts of this story, what they have achieved has been to reinstate the awareness that men and animals can live well together and gain mutual benefit from each other. 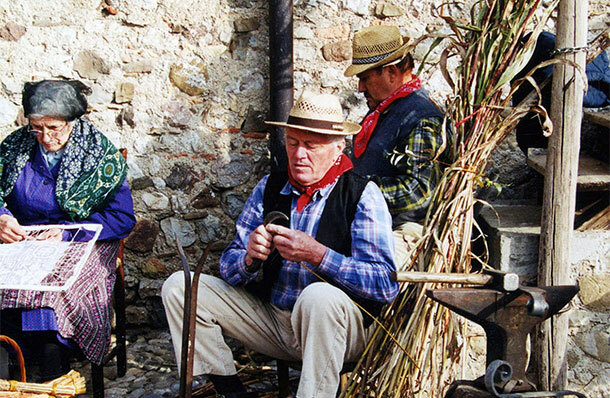 The deep-rooted traditions and lives of the people of Feagne can be seen in the local agricultural museum, “Cjase Cocèl”, a perfect setting to show visitors how intertwined the people, animals, and natural ecosystem were and are around these parts. 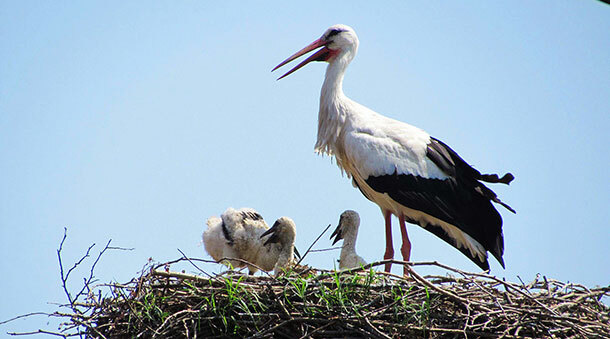 Over the years the Oasis Quadris has become the largest repopulation centre for storks in Italy. It has now embarked on a new project: rescuing the black ibis. With only 2000 of these birds left in the world, it is the centre’s next big challenge. They have already succeeded in doubling the number of ibises, using the same methods they used for the storks. It appears that the ibis copies the storks’ behaviour and makes babies too! Perhaps there is some truth then in the legend that babies are carried by storks after all. Well, it seems to be working well for the ibis at any rate! Joking apart, where there is a will there is always a way. 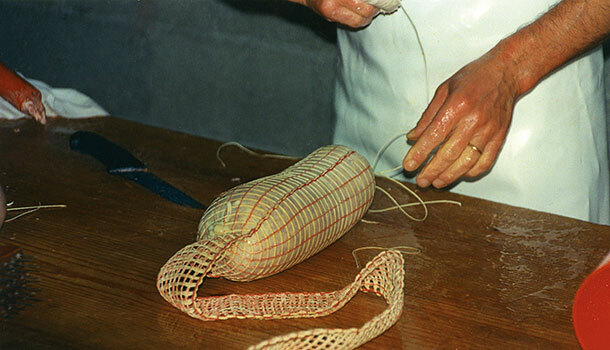 The people of Feagne have shown what can be done when you are driven by an idea. Fiercely independent of other similar organisations – and determined to remain so – the upkeep of the site which houses the birds is only carried out by volunteers. You do not have to pay to visit the centre, but donations are welcome. It is only open to the public at weekends from April to the end of October so the birds involved in the repopulation programme are not disturbed too much by visitors. But you can always see the rest of them flying around the village at any time, too. “Great oaks from little acorns grow”, as the saying goes. And this story is proof positive that you do not need some archi-star with some expensive monstrosity to put your village or town on the map. 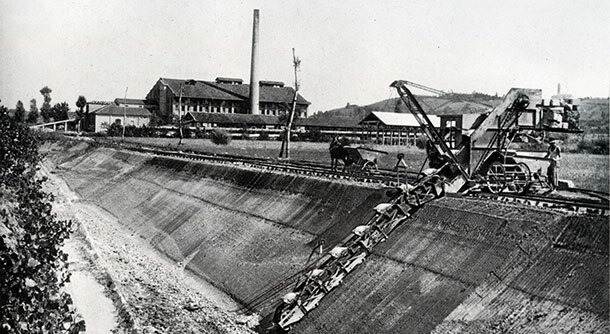 With ecological engineering or sustainable design or whatever you want to call it, the inhabitants of Fagagna have sent a perfect message to the world: will power is stronger than big budgets and the rewards come in so many ways.